What do you do if you find yourself with a painful lump behind ear? 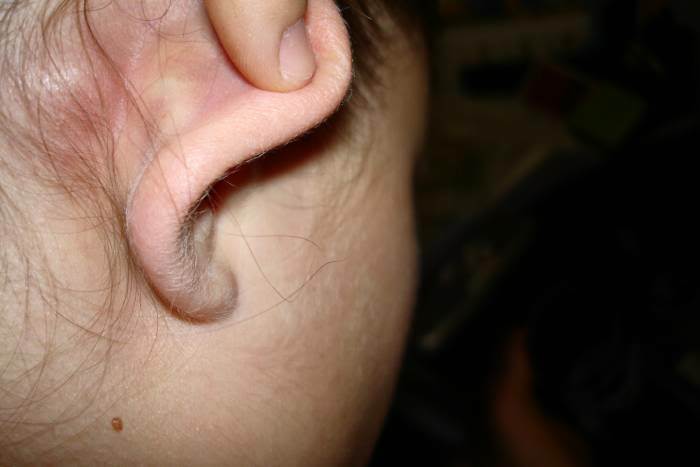 The good news is that the majority of nodules or bumps behind the ears are nothing to worry about. However, if you do have an infection, you may need medication. Furthermore, in very rare cases, these lumps indicate a serious condition, and require immediate medical attention. Infections of certain tissues and cells by invading bacteria and viruses cause an immune response to develop, with white blood cells recruited to the affected area. The white cells start to build up in the tissue, leading to pus formation. Pus is a thick liquid consisting of dead tissue and white blood cells, bacteria, and other substances. When the excess pus causes the tissue to swell, and the area becomes painful and warm to the touch, an abscess is said to have formed. Treatment: The pus within the abscess requires surgical draining. Skin abscesses are drained through cutting through the skin’s surface, whereas deeper abscesses need more complicated surgery. The exact technique used will depend on where the abscess is. As the skin heals, a scar will normally form. In addition, most patients will need to take antibiotics to clear up the infection. Sebaceous glands in your skin secrete oil lubricate your hair and skin. This is a healthy process, but sometimes the gland can become blocked and a sebaceous cyst can develop. This manifests as a benign lump emerging from beneath the skin. Although sebaceous cysts may be irritating or uncomfortable, they are unlikely to cause you any pain. They are most frequently found on the neck, head, and torso. Treatment: Sebaceous cysts are usually mild and don’t require treatment. However, if you experience any swelling or tenderness, consider a home remedy. For example, you can promote drainage by placing a warm compress over the area, but don’t squeeze or burst the cyst. For a painful or inflamed cyst, seek medical advice, as these can be treated with surgery or laser therapy. Lymphadenopathy is a condition where the lymph nodes, small round organs found all over the body, begin to swell, which could cause painful lump behind ear. The swelling is caused by accumulation of immune cells within the lymph node. Lymphadenopathy is most likely due to the inflammation from infection, but can be due to certain types of cancer. Treatment: Swollen lymph nodes are treated by targeting the underlying cause of the swelling. For example, antibiotics may be used for bacterial infections, although virus-mediated swelling will frequently clear up by itself. If your doctor suspects you have cancer, an ultrasound scan or biopsy may be required. Swollen lymph nodes that don’t resolve after a few weeks require medical attention. Acne is a very common skin problem, mainly affecting adolescents. From time to time, hair follicles on the surface of the skin become blocked by oil and dead skin cells. This can lead to bumps and pimples on the skin. These frequently appear near the surface as whiteheads and blackheads. However, other times the acne develops deeper within the skin, creating large solid bumps that are often quite painful. Treatment: Most acne is treated with topical remedies applied directly to skin. Some products reduce oil in the skin, whereas others kill spot-causing bacteria. Common ingredients include salicylic acid, benzoyl peroxide, retinoid, and antibiotics. Your dermatologist should advise which product is best for you. Facial swelling can be caused by several types of viral and bacterial infection, including infectious mononucleosis (Epstein-Barr virus) and strep throat. Less frequent causes of throat infections include measles, chickenpox and HIV/AIDS, all of which can result in swelling in the face and neck areas, or even painful lump behind ear. Treatment: Sore throat treatment depends on the cause. Antibiotics are usually prescribed for bacterial infections. Conversely, virus-mediated sore throats often resolve by themselves. Certain medications, such as painkillers and decongestants, can relieve symptoms, but you may need antiviral drugs. Mastoiditis is a serious ear infection in the mastoid, the bony protrusion behind the ear. It often arises from an untreated minor ear infection. You may feel a knot or painful lump behind ear, due to the development of a pus-filled cyst. Treatment: Mastoiditis should be promptly treated with antibiotics, which may need to be administered directly into the bloodstream. Occasionally, an operation is required to drain the middle ear (myringotomy) or take out some of the bony mastoid (mastoidectomy). To ensure the infection is under control, you may need to be monitored by hospital doctors for a few days. Infection and subsequent inflammation of the middle ear is known as otitis media. It can be caused by either bacteria or viruses, and leads to fluid accumulation. This can result in visible and painful lump behind ear. Treatment: You’ll often see an improvement in otitis media after around 48 hours, and the symptoms should disappear completely without any treatment within two weeks. To manage the pain of middle ear infection, you can try a warm compress, eardrops, or over-the-counter painkillers. Some patients, especially children, may be prescribed antibiotics. Make sure that the course is completed to prevent recurring infection. For repeated episodes of otitis media, an ear tube to drain fluid from the ear may be required. All patients treated for ear infection require careful monitoring.